Nobody likes getting sick, especially when it’s the stomach flu. The fever, the nausea, the chills, the diarrhea, and the aches and pains add up to an awful feeling. While there is no cure for the stomach flu, the remedies below may help provide relief from the most difficult symptoms. The stomach flu, or gastroenteritis, can be caused by a number of different viruses that attack your gastrointestinal system. These viruses can be contracted from food that was not adequately prepared or in conditions with poor hygiene. 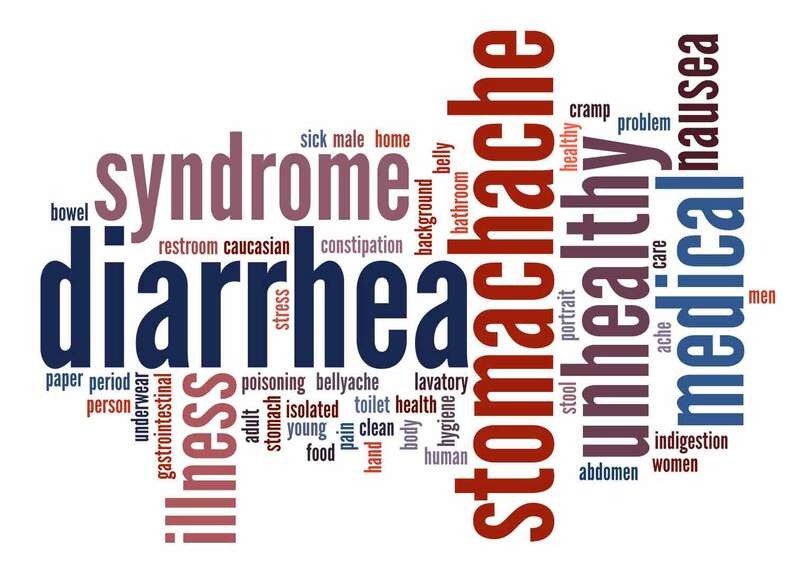 People with the stomach flu often have symptoms of diarrhea, nausea and vomiting, fever, headache, and sore muscles. Depending on the type of virus you have, the flu can last from one to 10 days. Fluids are critically important when you have the stomach flu. You’re losing vital bodily fluids through sweating, vomiting, and diarrhea. If you are having trouble keeping liquids down, try taking small sips at regular intervals or chewing ice chips. Clear liquids, such as water and broth, are the best type to consume. Older children and adults can also have sports drinks to help with electrolyte replacement during the stomach flu. Avoid caffeinated drinks like coffee, strong black tea, and chocolate when you have the stomach flu. Because these beverages have caffeine, they might affect your sleep, and getting enough rest is crucial for treating the stomach flu. Keeping food down can be difficult with the stomach flu. Don’t force yourself to eat if eating makes you feel nauseated. The BRAT diet — bananas, rice, applesauce, and toast — should be your go-to when it comes to an uneasy stomach. It consists of foods that are easy to digest, contain a lot of carbohydrates to give you energy, and replenish nutrients lost through vomiting and diarrhea. Bananas: Bananas are easy to digest and can replace the potassium you lose from vomiting and diarrhea. Rice: Brown rice has too much fiber, but white rice is easier on the stomach and provides energy from carbs. Applesauce: Applesauce can provide an energy boost due to the carbs and sugars, and also contains pectin, which can help with diarrhea. General foods to avoid are dairy, fibrous foods, and anything fatty or spicy. Dairy: Not everyone has a problem with milk when they have the stomach flu, but it could be hard to digest. Acupressure has been shown to be effective in some types of nausea. The Cancer Center suggests finding pressure point P-6 by measuring the width of three fingers down from the bottom of your palm. Press below that width with your thumb and you’ll feel a sensitive spot between two tendons. Gently massage that spot with your thumb for two or three minutes. When you have the stomach flu, your body needs rest in order to fight off the virus. You’ll need to get plenty of sleep and reduce the amount of activity you normally do during the day. This means lounging on the couch when you’re not in bed. While you’re resting, your body is working hard to fight off the virus and repair damage on the cellular level. The stomach flu has to run its course, and can’t be cured by medications. Antibiotics won’t help with stomach flu because they don’t fight viruses. You can take medication to treat the symptoms of the stomach flu, but you should do so sparingly. If you have a fever, headache, or muscle aches, ibuprofen can help, as long as it doesn’t cause you to have more of an upset stomach. Taking it sparingly with food is usually the best approach. Acetaminophen (Tylenol) is usually recommended for stomach flu, unless you have liver disease. Acetaminophen relieves fever and aches. It has fewer side effects than ibuprofen and is less likely to irritate your stomach. If you are seeking relief from nausea or diarrhea, there are some prescription medications that your doctor can prescribe to ease your symptoms. Your doctor may prescribe an antiemetic to stop the nausea and vomiting. You can also try an over-the-counter antidiarrheal medication to alleviate your diarrheal symptoms. Check with your healthcare provider before trying over-the-counter medications. Stomach viruses are sometimes even more common in infants and young children than they are in older kids or adults. In infants, the symptoms of the stomach flu are the same, and may be accompanied by a decrease in appetite. If your infant’s symptoms haven’t subsided in a day or two, you can take them to their pediatrician, who may collect a stool sample to test for the cause of infection. Encouraging your children to continue to take sips of water (or, in infants, breast milk or formula) to replace lost fluids can help prevent dehydration. Formula-fed infants and toddlers can drink an electrolyte solution like Pedialyte. Having the stomach flu can make you feel miserable. If you do get it, these remedies can help reduce some of the misery but won’t alleviate it entirely. That’s where prevention comes in. Some basic ways to avoid getting the stomach flu (and illness in general) include washing your hands regularly and getting plenty of rest. Use the dishwasher instead of hand-washing dishes when possible. Clean countertops and surfaces with a bleach based solution, and wash clothes and bedding with a similar bleach based detergent until all members in the household recover.